Our themes display all static pages in the theme navigation by default. 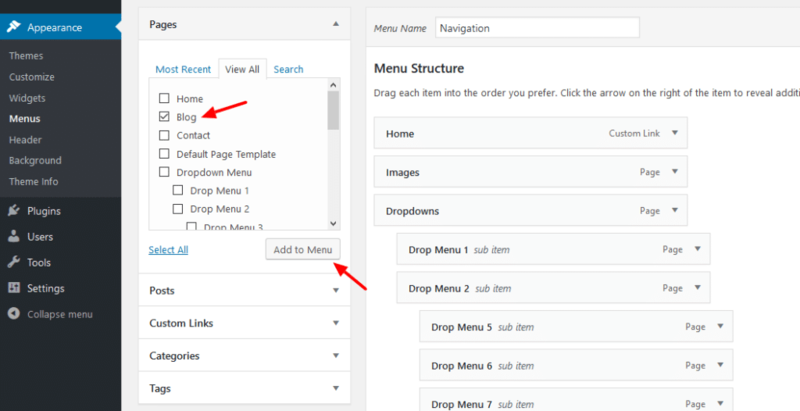 If you want an individual navigation you can use the Custom Menu WordPress feature described below. You can find the Custom Menu feature on Appearance → Menus in your WordPress backend. You can select a menu to edit it or create a new menu at the top of the Menus screen. After you have created your menu you can add items to it on the left side of the Menus screen. Therefore select a page, post or category and click the Add to menu button. By default you can add static pages, custom links and categories to your menu. You can use the Screen Options to allow more item types to be chosen from. You can nest your menu items via drag&drop. Nested items are shown as dropdown navigation in the theme. 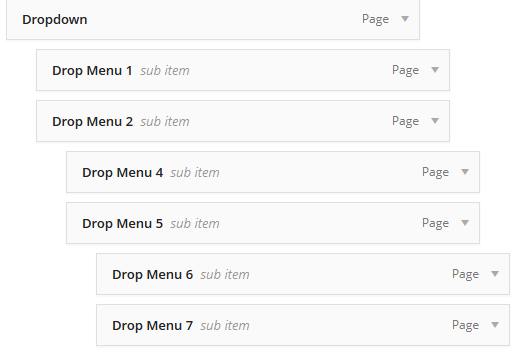 Our themes usually support dropdown menus up to 3 levels deep. Themes can have different spots to display menus, for example locations for a top, main and footer navigation. After you have created your menu you can add it to a certain theme location where it should appear. Therefore please go to the Manage Locations tab at the top of the Menus screen. In addition to the Menus screen in the WordPress backend, you can also create and edit menus in the Customizer which offers live preview of your website. For customizing menus, please go to Appearance → Customize → Menus. In case you have a ThemeZee.com account, you can also watch our Custom Menus video tutorial.